Headquartered in San Francisco, Switch Communications develops and provides cloud-based telephony products, including unified text and voice communications, to enterprise companies around the world. 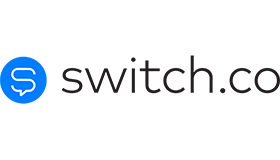 Switch.co previously used Asana supplemented with a mix of Gmail, Google Docs, and Smart Sheets (to name a few) in order to manage the software development process. The cumbersome system didn’t fully support the company's needs. “People didn’t know how to report bugs, and we needed a better process for tracking and following up on tasks,” says Hugo Romano, product manager at Switch.co. Responsible for identifying and implementing a new solution, Romano surveyed his development team; they unanimously recommended Jira Software. Now, project planning, tracking, and bug-reporting is simple and straightforward. Teams use quarterly planning sessions to create product roadmap milestones. The milestones, which Romano also calls OKRs (objectives and key results), are then broken down into stories and put into a Jira Software project backlog. Each OKR is given a timeframe, which is recorded in Smart Sheets via a Gantt chart view, and weekly check-ins act as sprint planning meetings where product managers adjust the timeframes for OKRs and plan the upcoming sprint. The team also uses Jira Software’s release hub to generate release notes and see when features and bug fixes go live. Once PMs have a copy of the release notes generated from release hub, they send them out to the team with analysis: it’s their form of a retrospective. Thanks to Jira Software and the features that support agile development, the entire development team has slowly but surely adopted the agile methodology. For example, Jira Software boards make it easy for users to view tasks in the queue as well as build clear, flexible views that let anyone at the company see the status of a project at a glance. Jira notifications are another essential feature that keeps the team agile and saves the group at least a couple of hours a week – precious hours that would have been spent in status meetings are now spent coding.